Only the finest teachers are invited to join the Music Learning Center. Together, we strive to create a unique and fun learning environment. Students learn best when they have a great rapport with their teacher. We have a large teaching staff.This helps us find a great match for each student. All of our instructors are highly trained and experienced. They constantly focus on maintaining student interest while developing the skills that will last a lifetime. We are always improving our facilities and programs to ensure that we provide our students and parents with the best experience possible. 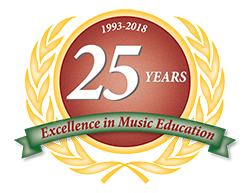 Lessons are available for all of the most popular instruments, including piano, guitar, voice, drums, violin, cello, flute, clarinet, trumpet, saxophone and many others. Ready to learn more about us? Click Here!